We use these discounted coupons, as locals, to save money when dining out. We know you will love them too. The excellence of the restaurant has been widely widely recognized. The chef offers an varied and full menu of classic American cuisine along with an extensive seletion of fine wines (It's worth the trip just for the wine list). The meals are beautifully presented by an attentive staff in a charming, warm, homey atmosphere. The Willowtree Inn, Ann Street Stroudsburg, PA - occupies a renovated house, lately the home of former Monroe County Prothonotary Jean Farry, hard by the north bank of McMichael's Creek off Ann Street in Stroudsburg, PA. Against this background, and not in the least either because of its very fine menu, The Willowtree Inn has prospered. 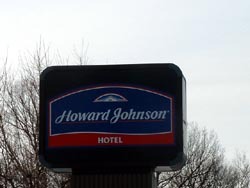 It is an established haven and watering-hole for many upstanding members of the Monroe County Community. 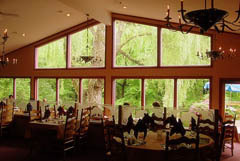 The tables in its rear dining room, all of which command a panorama of the creek dominated by a magnificent weeping willow tree, from which its name derives, are sought after. Serengeti Bar & Grill, Rt.611, Bartonsville, PA - The Serengeti Bar & Grill is the place to be in the Poconos, with great food, friendly service and an inviting atmosphere, all at a price that you can afford! The Serengeti has been serving up breakfast, lunch and dinner for 6 years and has earned an excellent reputation and won many culinary awards. The Sycamore Grille, Main and Oak Streets, Delaware Water Gap PA, 18327. Open 7 nights a week, 5 PM till? Tradition American Food. Features on menu like: Filet Mignon - with mustard mashed potatoes and a caramelized shallot shiraz demi glace. Delmonico Steak. Grilled Salmon - over wild rice pilaf and vegetable with a red wine balsamic and strawberry glaze. Crabmeat Stuffed Jumbo Shrimp - with a tarragon cream sauce, over wild rice pilaf and vegetable. Crabmeat Stuffed Jumbo Scallops - over herb roasted red potatoes and vegetable, topped with hollandaise sauce. Maryland Crab Cakes. Twin Char Grilled Lobster Tails. Surf and Turf. Veal Oscar. Veal Martini - stuffed with roasted red peppers, asparagus and smoked mozzarella breaded and fried, over risotto with a sweet vermouth reduction. Chicken Saltimbocca - proscuitto, mozzarella and spinach with a marsala mushroom sauce over wild rice pilaf and vegetable. Alaska Pete's (steak) - Rt. 209 Marshalls Creek 570 WINNER "Best New Restaurant of the Year 2000" "Best Steakhouse" 2004-05 "Best Burger 2014-2016" Fun and Casual - Great Service, Attention to detail, salad bar, smoking and non smoking sections, fun decor and convenient - just off Rt I 80 at the Marshalls Creek exit. No Advance Reservations accepted. 11AM till closing usually 11PM (later on busy weekends).Even though this restaurant won as Best Steakhouse, the menu is loaded with other selections like King Crab Legs (a best seller) and pasta dishes to rival 4 star restaurants. (They have a big expensive pasta machine that cooks pasta perfectly al dente. Saen Thai Cuisine - Shawnee Square, Buttermilk Falls Road, Shawnee on the Delaware 570 476-4911. One of the "must eat at" places in the Poconos. The satay with peanut sauce is the perfect appetizer. It was in the running for the best appetizer of the year. Traditional, yes. Plain, yes. Perfect, yes. You can choose many of the dishes as either spicy or mild. It's a small place (13-14 table), but tastefully decorated. Check out the special board before ordering. Take out, too! Barley Creek Brewing Company - Camelback Road, Tannersville 570 629-9399 Authentic "handcrafted" ales and lagers with a full pub menu for lunch and dinner. Occasional entertainment and with reservation tours of the brewing process. Snydersville Diner - Snydersville 570 992-4003. What EVERY diner wants to be when it grow up. Marita's Cantina - Main Street, Stroudsburg, behind "The Hoop" (enter from the side). 570 424-8355. The real Mexico is something like 1900 miles away. This place brings you a whole lot closer. Big burritos, good chips and salsa, some spicy foods and some mild ones. Make it a stop on your exploration of dinners in the Poconos. The Trackside and Liquid Lounge - Crystal Street, East Stroudsburg . The historic train station has been moved and a new restaurant and martini lounge has taken its place. And nicely done at that. It still retains the flavor of a train station. If you're eating in the back room, you'd expect to see a steam locomotive puff by, at any time. Bear Creek Inn - Rt. 115, Bear Creek 570 472-9045. Reservations are required, 'cause this place gets busy. Open 7 days. Call to confirm the early bird specials 4-6:00 PM. Seafood, steaks, veal, and some Italian. Salad and Dessert Bar. The Dimmick Inn - Broad and Harford Sts., Milford. 570-226-4021 1800's taproom with adjacent steakhouse restaurant. Steaks, chops, ribs, pasta, and fish. Frog Town Inn - Canadensis 570 595-6282 We don't know where Frog Town is but Canadensis is where you'll find this Country Inn style restaurant. A cozy bar and a dining room just a little bigger than your grandmothers. The food is good though, not always consistent. If you're there on a good night, you'll probably add this place to your favorites. It's a great place for a dinner with friends on one of those cold winter nights after a snow storm. Sarah Street Grill - Sarah Street St., Stroudsburg. 570 424-9120. Winner PoconosBest.com "Best Deck Scene" and "Best Original Music Venue". If your over 30, you'll want to go early. Otherwise AAA's given it a star or two. Ignore the bar and head for the more formal dining area to the left. Or on a warm summer evening ask for the deck! L, D.
The Stone Bar Inn - Snydersville 570 992-6634. Winner Poconos Best Restaurant . We'd like to tell you the foods terrible and just to keep this one for ourselves, but alas, morality wins out. Andrew Moore's Stone Bar is the hidden gem of the Poconos. Try the crabcakes, everybody we know loves 'em. Tom Quick Inn - Reopened! 411 Broad Street, Milford. 570-296-6514. Traditional American food, poultry, beef, veal, pork, and lamb entrees with homemade vegetables. 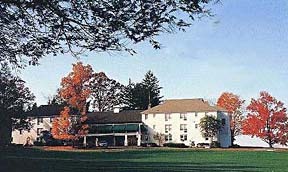 Water Gap Country Club - Wolf Hollow Restaurant, Country Club Road, Delaware Water Gap 570 476-0132. Caual, but proper dress. In the country clubs main dining room in winter and inside and on the patio in summer. Call because they are sometimes close in late fall and winter. Save this one for summers on the patio. L, D. Tue-Sun.